Across 2015 the news posts announcing the Most Downloaded articles had dropped from view due to a technical problem. A recent reset requires them to be uploaded again. You will now see a number of periods clustered together in recent posts. Apologies to those of you interested in this data who have been unable to see it for a period of time. The JLS Copyeditor, Mark Bennett, has stepped down from his position to focus on his academic work. The JLS would like to thank Mark for his professional and expert work over the course of a number of years and issues. Mark has been instrumental in the success of the JLS, and his careful attention to the work of contributors was always greatly appreciated. We wish him the best of luck with his future plans. Mark will be succeeded as copyeditor by Rebecca Spear, who begins her role with issue 8.1 (2015). We offer our many congratulations to Maria. essays on a range of literature and science topics submitted for consideration. Maria’s essay will appear in one of the next issues of the journal. The Journal of Literature and Science and the British Society for Literature and Science would like to announce our annual prize for the best new essay by an early career scholar on a topic within the field of literature and science. The deadline for this year’s prize will be 19th June, in order to give members time to revise papers presented at the BSLS conference should they wish to. The prize will be judged jointly by representatives of the BSLS and JLS. To join BSLS (only £10 for postgraduates and unwaged members), go to http://www.bsls.ac.uk/join-us/. The winning essays to date have been Rachel Crossland’s ‘”Multitudinous and Minute”: Early Twentieth-Century Scientific, Literary and Psychological Representations of the Mass’, published in JLS, 6.2 (2013), and Emilie Taylor-Brown’s ‘(Re)constructing the Knights of Science: Parasitologists and their Literary Imaginations’, published in JLS, 7.2 (2014). 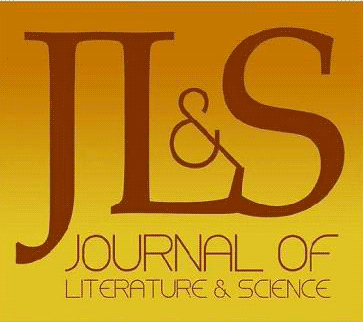 Josie Gill’s essay, ‘Science and Fiction in Zadie Smith’s White Teeth’ received an honourable mention from the judges and was published in JLS, 6.2 (2013). To read these essays, visit the issues listed. The JLS extends its congratulations to Emilie on her excellent essay, which will be published in a forthcoming issue, and also our thanks to all the BSLS members who submitted essays to this competition, maintaining both the high standard and wide field set by last year’s entries.